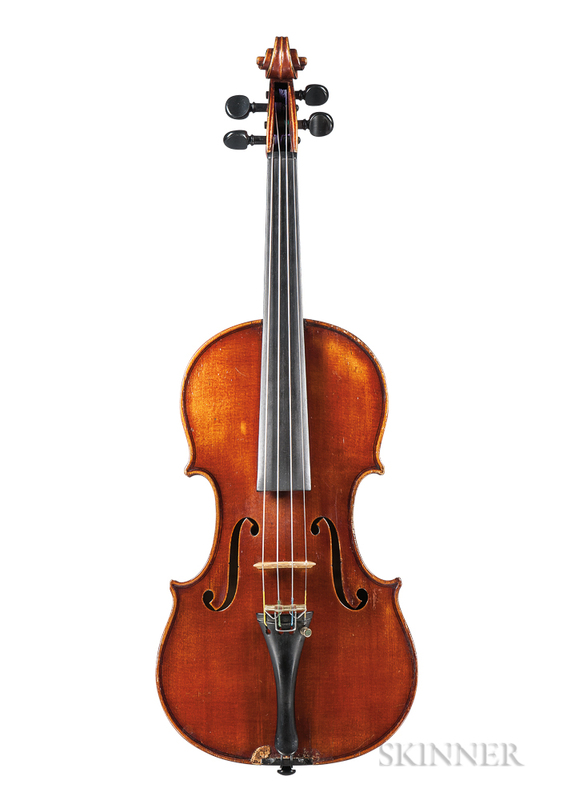 Perfect pitch: Skinner’s Fine Musical Instruments Auctions hit the high notes | Skinner Inc.
Auction 3051B, Fine Musical Instruments, will be held in the Boston gallery, 63 Park Plaza, at 12 PM on Sunday, November 19. It will feature classical and vintage instruments and related music material. Included will be highlights from the estate of J. Warren Geils Jr, founder of the Grammy-nominated J. Geils Band. Auction 3062T, taking place online from November 13 through November 20, is devoted exclusively to additional J. Geils instruments and memorabilia. It includes records, CDs, photographs, clothing, and books as well as vintage instruments and instrument parts. 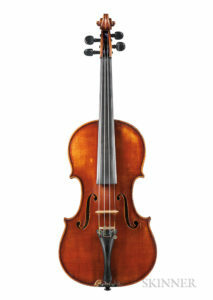 An assortment of violin, violoncello, and viola bows complement the wide array of instruments. There are also numerous Pernambuco boards, violin and contrabass bow blanks, and other lutherie items. This sale also includes a number of important vintage instruments from iconic American makers. Two Gibson guitars are noteworthy: Gibson Les Paul Goldtop Electric Guitar, 1952 (Lot 341, estimate $8,000-12,000) and Gibson Nick Lucas Special Acoustic Guitar, circa 1929 (Lot 334, estimate $5,500-6,500). Several Gibson mandolas and mandolins are offered. The premier instrument is the Gibson Style H-5 Mandola, 1924, serial no. 74871, signed by Lloyd Loar, with original case. This rarity is one of about twenty known examples. (Lot 327, estimate $35,000-55,000). Other highlights in this category are a trio of Fender Stratocaster Electric Guitars, from 1961 (Lot 342, estimate $10,000-15,000); 1958 (Lot 343, estimate $12,000-16,000); and 1954 (Lot 344, estimate $25,000-35,000). Geils material in this sale includes an assortment of Gibson and Stromberg guitars as well as numerous Fender and Gibson amplifiers from the 1930s through the 1960s, and personal items such as a Nudie Suit, 1973, jacket, pants and two shirts (Lot 399, estimate $400-600). Auction 3062T, the J. Geils Collection Online, includes over 160 lots of Geils’ equipment, memorabilia, and personal property. 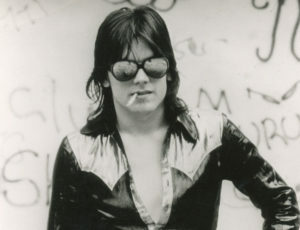 His musical interests ranged from jazz, folk, soul, and blues to the pop-rock which was the signature sound of the J. Geils Band’s eleven albums released between 1970 and 1985. Best known as a guitarist, Geils also played the trumpet and cornet (he played trumpet in the Northeastern University marching band and played jazz trumpet early in his professional career). Numerous examples from a variety of makers are included (Lots 1080-1169). This entry was posted in Blog, News and tagged instrument auction, Italian violins, J. Geils, J. Geils band, musical, vintage guitars by Kerry Shrives. Bookmark the permalink.